The brand Rockford Fosgate® is known as “Car Audio for Fanatics” and they are a leader in American engineered car audio products. The parent company, Rockford Corporation is based in Tempe, Arizona and employs some of the brightest engineers and product developers in the business. They manufacture amplifiers, signal processors, speakers, subwoofers as well as marine and motorsports audio products. When founder Jim Fosgate put his name on the first real piece of high performance car audio equipment in 1973, the car audio world would never be the same. Working in his garage in Arizona, Jim realized that a car audio system would have to be dramatically different than what people were using for home audio. In that vein, he began working with an amplifier technology to deliver this dramatic difference in a car. He realized that music and the human ear had very different sonic signatures or “curves”. The human ear has the most trouble identifying lower frequencies when the volume is low. Playing music at low volumes typically made that condition worse sounding. It meant the listener was missing out on so much of the music that a car stereo sounded pathetic. Jim needed to amplify the sound, but also determine how to tailor the sound so that those missing frequencies could be recovered. This meant he needed an amplifier that could run low impedance loads and run in stereo and mono simultaneously so that high frequency speakers, midrange and subwoofers could all connect to such an amplifier. These needs then dictated that the amplifier incorporate a MOSFET design, which at the time was unknown in the world of audio. All of this innovation led to the single most important development of the Fosgate designs; the Punch EQ. The patented Punch EQ has the ability to add up to +18dB at 45Hz (Bass Boost) & and/or +12dB at 20kHz (Treble Boost) in a special filter called a “hinge filter” which is active from 1kHz to 20kHz. Simply put, the invention and implementation of the Punch EQ in the first Fosgate car amplifier let listeners experience all of the music, not just some of it. Over the years, Jim Fosgate’s company was acquired by the Rockford Corporation and has grown to create innovations and milestones since the first discoveries in Jim’s garage. 1970 – The concept of Surround Sound (Jim Fosgate was a pioneer in this area). 1976 – The first MOSFET car amplifier design is sold commercially. 1979 – The first car audio surround sound processor is sold commercially (called the Fosgate Gavotte). 1984 – The first Punch® subwoofer is built by Rockford Acoustic Designs (RAD) in Grand Rapids, MI. 1986 – The Punch Verification Certificate is created – essentially a unique birth certificate for every Rockford Fosgate amplifier that’s manufactured and tested before it leaves the factory. 1990 – Symmetry is introduced, which is the first modular computer-based audio system for the car. 1996 – The first Rockford Fosgate CD head units are introduced, including the 8140 with 18 volts of balanced audio output. 2000 – The first Rockford MP3 player is introduced – which was a multimedia card changer, way ahead of its time. 2003 – Founder Jim Fosgate wins an Audio Technology and Engineering Emmy for his work in surround sound technology. 2004 – Rockford receives patent for their Dynamic Thermal Management (DTM) technology. 2005 – Rockford receives patent for the 3SIXTY signal processor. 2006 – Rockford receives patent for the Constant Power technology in their amplifiers. 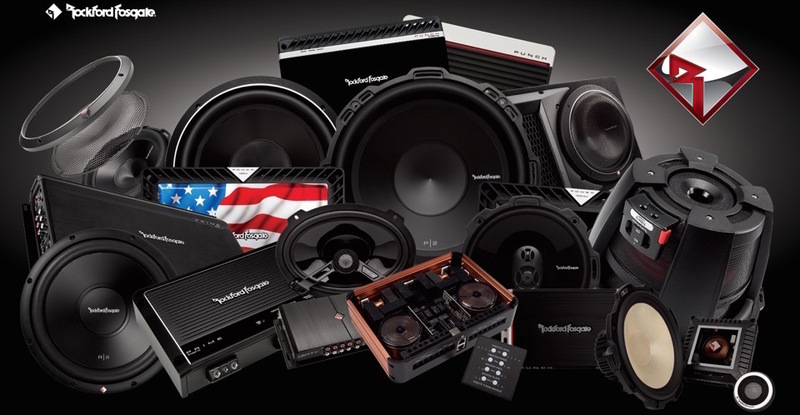 Rockford Fosgate offers multiple products in car audio amplifiers, coaxial speakers, high-fidelity component separates, signal processors and ground pounding subwoofers. The speakers and subwoofers carry an over the counter exchange within the warranty period when purchased at Precision Audio in Bainbridge, Georgia. Prime – Prime amplifiers take advantage of Rockford Fosgate technologies at a level everyone can attain. Prime amplifiers range from 150-1200 watts total and have efficiencies up to 90%. Prime speakers are an excellent choice for replacement of factory speakers in most vehicles. Prime subwoofers are road ready and an ideal choice for entry into performance car audio. Punch – Punch amplifiers combine Rockford Fosgate heritage with the latest technology in a compact package. Punch amplifiers range between 300-1000 watts total and have efficiencies up to 85%. The Punch Boosted Rail (BR) series has an incredibly small footprint for easy use in tight spaces. Punch speakers are designed for fanatics who want to both hear and feel their music. Punch subwoofers are considered the standard as they are built on years of tradition and refined to deliver deep, rich bass response. 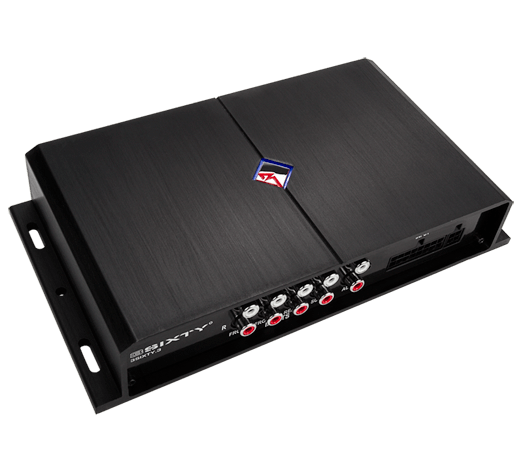 Power – Power series amplifiers deliver the unprecedented power and control for the most discriminating car audio fanatics. Power series amplifiers range between 400-2500 watts total and have efficiencies up to 85%. They also have some of the most thermal mass of all Rockford Fosgate amplifiers. Power series speakers deliver an elevated level of sound quality with exceptional clarity and accuracy. Power series subwoofers raise the bar with exceptionally high power handling and bass output that can carry for miles. Rockford offers advanced digital and analog signal processors. The 3SIXTY.3 is a full factory integration digital processor that uses a computer to configure and tune in the vehicle. It’s a very advanced processor. Rockford also offers analog processors such as balanced line drivers and high-to-low (speaker level to RCA) adapters. All of these enable factory integration so fanatics can enjoy the incredible Rockford Fosgate sound while retaining their factory radio if they wish. Rockford Fosgate also offers a full line of radios (with wired remotes and hideaway digital receivers), speakers, amplifiers and subwoofers for boats, motorcycles, RVs, off-road (powersports) vehicles and just about anything else where you wish to take your music. The IPX-6 water intrusion resistant radios all easily accept all types of digital media including CD, iPod, USB, SD card, SirusXM radio and MP3 files. 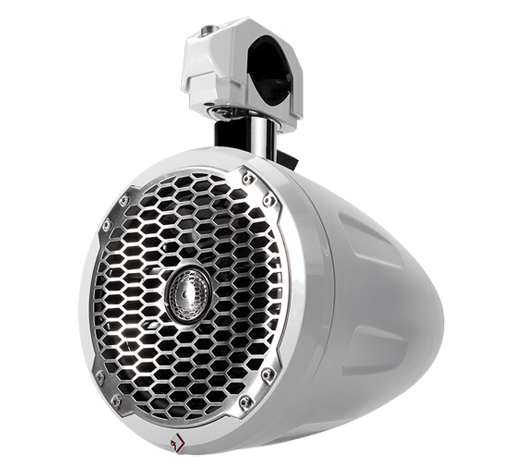 The marine and motorsports lines also feature enclosed speakers with flexible mounting brackets so that roll bars, ski towers and other structures can become speaker mounting locations. Rockford Fosgate is ready for the future. They incorporate some of the most state-of-the-art facilities in the audio business. Best of all, their amplifiers, signal processors and subwoofers are designed and engineered in Tempe, AZ, USA. The consistent theme at Rockford Fosgate is not just music or technology; it’s the brilliant use of technology and circuit design to enjoy impactful and passionate music. Rockford’s whole team has a genuine passion for the experience of music and they deliver that passion in high quality, innovative car audio products.